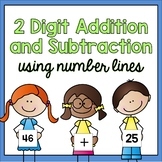 This flipchart teaches students how to use repeated subtraction and a number line to solve division problems. 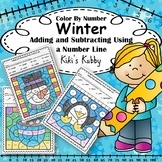 It is interactive so that students may work out the problems on the white board. 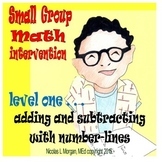 Division: Subtraction and Division by Lisa Nix is licensed under a Creative Commons Attribution-NoDerivs 3. 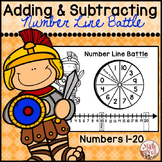 Number Line Battle "Adding and Subtracting using a Number Line"
Students practice this common core linked skill where they use a number line strategy to help them solve two word problems in a clear, easy to follow format. 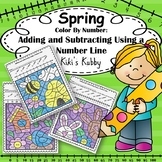 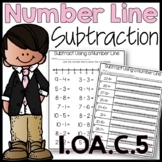 This is a great resource to practice subtracting using a number line. 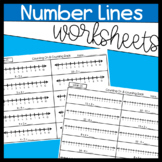 Perfect worksheets for test review or lesson reteach. 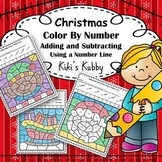 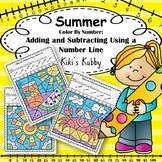 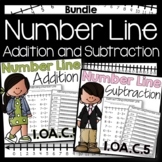 This product is intended to serve as practice for using a number line to solve addition and subtraction problems. 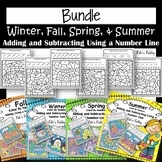 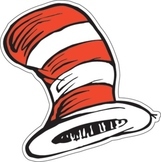 Eleven pages of each--addition and subtraction--are included in the set. 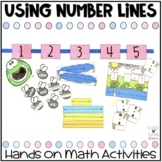 This is something I created to show and practice with the kids on how to use a number line to add and subtract.